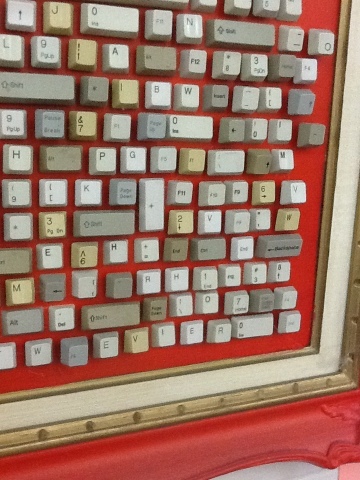 Keyboard art | ARTZCOOL'S BLOG! 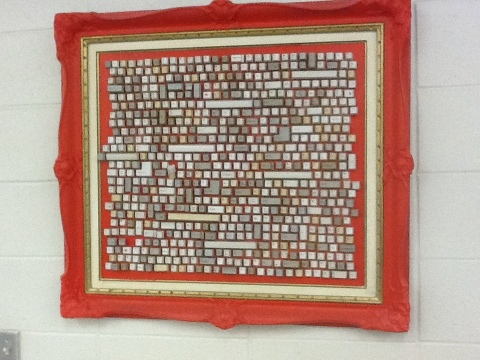 What kind of adhesive did you use to adhere the keys to the canvas? I just used a hot glue gun! That was almost two years ago, and they have hung in my school library ever since! I think I have two keys sitting on my desk to glue back on, that have “fallen” off, but that’s not bad considering there are at least 500 kids passing through the library every week!